Robert Forrester born 1758 was convicted for stealing 6 sovereigns (6 pounds and 60 pence) on 29th April 1783. He was found guilty and given the death penalty (hanging) by Mr. Justice Nares at the Old Bailey in London. In September 1783, he received his Majesty’s gracious pardon and was to be transported to the Americas for 7 years. The American War of Independence made that impossible. He was placed on the hulk Censor in the Thames River. Fortunately for our family, he was transferred to the Scarborough on the 13th May 1787 and was a part of the First Fleet to sail to Australia, arriving in Sydney Cove on 26th January 1788. Two horse enthusiasts who left their mark on racing in a number of ways were William Long and William Forrester. Long, the son of a wealthy ex-convict wine merchant, had a passion for racing. In the early 1880s he brought J.H Stroud’s Warwick park grant north of Liverpool and by 1884 he had also developed his property across the river, building stables and tracks there. He called the estate Chipping Norton. Long was the squire of Chipping Norton until 1901 when the banks foreclosed on him. 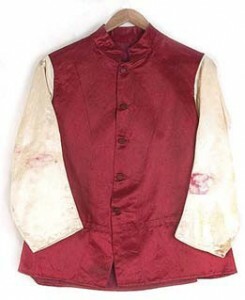 His most successful horse Grand Flaneur won the Melbourne Cup in 1880. Long sold the Warwick Park estate in 1882 to William Forrester who became one of the most successful trainers of his time and in 1889 he and E.A Oatley were the principals in the formation of the Warwick Farm Racing Club. William changed the original name of Warrick Park estate to Warrick Farm to co-en side with his own initials. 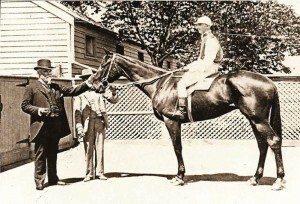 Forrester owned and trained two Melbourne Cup winners, Gaulus in 1897, and The Grafter in 1898. William Forrester had not been born when famous old English poet Thomas Gray (1716-1771) penned this couplet: “Too poor for a bride, and too proud to importune, He had not the method of making a fortune.” Gray’s words, however would have sat neatly over the grave when Forrester was buried in Liverpool cemetery at the turn of the century. An epitaph that told nothing of the romantic, dashing life of “Honest Black Bill”, renowned late last century as “the Squire of Warwick Farm”. Racing’s record books at first glance, certainly suggest that Forrester had better methods than most of making money; but somewhere along the way his cue ball skewed at a vicious slant. He has to be recognised as one of Australia’s most successful racehorse trainers, especially where the Melbourne Cup is concerned, but less than three years after his last triumph in our greatest race, Forrester died almost destitute. Not withstanding, at the time of his death he owned a large portion of Warwick Farm racecourse on which he had built a magnificent homestead, well-appointed racing stables and a thoroughbred breeding stud. That was the general belief, but later it was found that Forrester had sold much of his property to discharge debts. 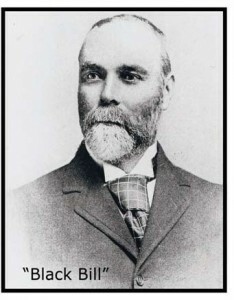 William Forrester died suddenly on his Warwick Farm property on 23rd August, 1901, at the comparatively young age of 59. During the last decade of his life, Forrester contested five Melbourne Cups, achieving the remarkable performance of two wins (including a quinella), three seconds, a third and two fourths. Today, Forrester’s eight placing’s would return $3,465,000 in prize money, plus trophies valued at $67,000! In Forrester’s day, prize money levels were much lower than now. In fact, there was no return whatever when he saddled Highborn and War God to finish fourth in 1891 and 1898 respectively. The other six placing’s netted prize money worth £11,687 – good money in those times; more so when you realise that Forrester figured as owner and trainer in two wins, two seconds and a third. What is more, Forrester trained successfully almost to the day he collapsed and died from a paralysing stroke. His last winner was The Watch Dog in the Ellesmere Stakes at Randwick in June, 1901. A year before he had won the VRC Newmarket with the same horse, one of his breeding at Warwick Farm. So how come that Forrester was enmeshed in financial difficulty when he died so suddenly? Sadly, it could be claimed as one of Racing’s worst cases of mismanagement; certainly Forrester’s heavy gambling being a contributing cause. One of his living relatives told me that on one occasion “Black Bill” risked the deeds of his home on a card game. Fortunately he won on that occasion, but what of the others? There is another side to the story which testifies strongly that William Forrester was generous and kind, to a fault. The sporting elite of Sydney, deeply saddened by his death, held Forrester in the highest regard, despite his pecuniary problems. It could be said that no Racing personality of his day was more revered than “the squire of Warwick Farm”. There was not a hint of criticism, complaint or censure that Forrester had handled his wealth so poorly, leaving his wife Emily, their three daughters and son Charles, in such dire straits.the family scrapbook, loaned to me by his great grand-daughter, Mrs Pamela Smith, details the enormous respect held for William Forrester. Sportsmen, politicians and dignitaries from all walks of life were among the large crowd that traveled by train from Sydney to attend his burial at St. Luke’s cemetery, Liverpool. Years later, when the Liverpool cemetery was closed, one of the Forresters’ daughters, Ellie May, had the remains of her father and mother exhumed, then cremated at Northern Suburbs crematorium. William Forrester’s ashes were then scattered near the present-day winning post at Warwick Farm. Typical of the eulogies for the great trainer were the word, “he had a heart as big as a bucket”. Nat Gould, his long-time friend, went one better- describing Forrester “as a man whose heart was bigger than an elephant”. Friends soon rallied to assist Emily forrester and her four children. A meeting was called at Tattersall’s Club (Sydney) and a subscription opened. Heading the list of generous donors was the Hon.H.C. Danger, then Australian Jockey Club chairman, with £100. The AJC committee fittingly still honours the memory of William Forrester and his best racehorses. The annual meeting at Warwick Farm is highlighted by the W. Forrester Handicap; also the Gaulus handicap, named after one of his two Melbourne Cup winners. We'd love to hear about your stay at Forrester Court Cliff top cottages, Norfolk Island.